October 15, 2014. Most people have only heard of Tacloban, Philippines because of Typhoon Haiyan (called Yolanda in the Philippines) which struck on November 8th, 2013. It was one of the strongest tropical typhoons ever recorded to strike a populated area with the official death toll reaching well over 6,000. However, if you ask any local, they will tell you that the actual numbers are much higher; some bodies were still being found two months after the storm had passed. Just under a year has passed, and we have found ourselves working alongside many other aid agencies in Tacloban. 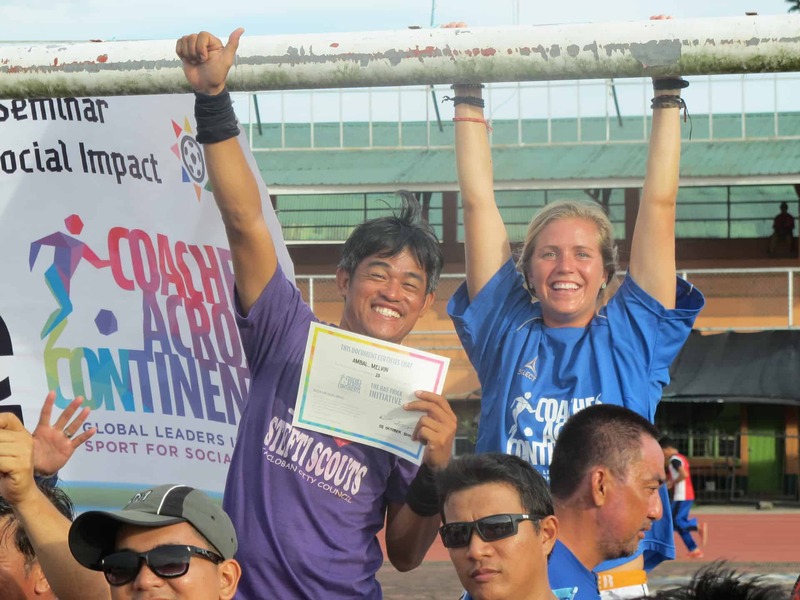 Partnering with Football 4 Life, UNICEF, and the Asia Society for Social Improvement and Sustainable Transformation (ASSIST), we have come to Tacloban to provide sport for social impact training to coaches and teachers as they continue to rebuild their community. 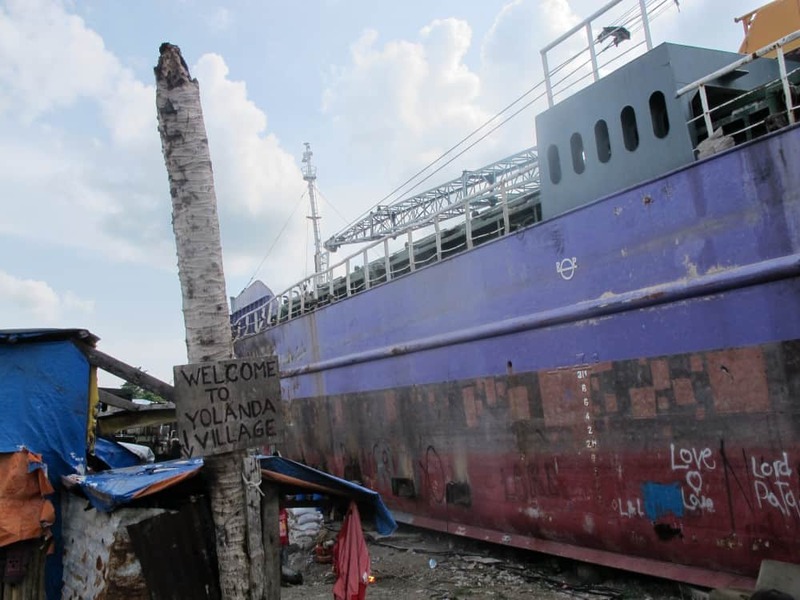 Yolanda has left most of the worlds’ consciousness as we start thinking of more immediate global concerns, but in Tacloban they are still recovering and will continue to rebuild for years to come. The visits of celebrities like David Beckham have passed, but tens of thousands still live in temporary bunkhouses, buildings (including schools, hospitals, and businesses) are still being constructed, and neighborhoods are adjusting to their new daily lives. It is because of this rebuilding that we were so excited to work alongside three great partners who see sport as an avenue to restore normalcy to daily life but also to use it as a tool for education and social empowerment. Football 4 Life has started operating in eight locations around Tacloban, targeting the most in-need children. They run football sessions for them in this basketball-mad country, but see the opportunity to use sport to empower these children who have been marginalized. F4L also brought together over 50 school teachers to participate in our training, knowing that these sport teachers are crucial to the use of sport as an active tool for social change and development of their community. These coaches and teachers lived through Yolanda, and are the best people who have the vision and enthusiasm on how Tacloban should be rebuilt. One of the F4L coaches, Margarette Susing, is featured in this video showing the process of rebuilding the community is undertaking and is a perfect example of the effect that a natural disaster can have on a community and on individual lives (4:18 minutes). We knew on our first day that this group of teachers and coaches, as well as the experience itself, would be special. Meeting in a room that still utilizes a warped, water-damaged floor, we began our journey with them. In fact, there are still very few structures which do not show the lasting damage of the storm. On-Field our first game is always Circle of Friends. It is used both as a physical warm-up, but also to get coaches and children to use their voices (and be comfortable with their voices) in a variety of ways. On the first water break it was explained to me by a teacher that he preferred the students not to speak, so that he could maintain control. After resuming Circle of Friends and Ronaldo Skills (another game which stresses voice), the same teacher came up to me to tell me that he was wrong, and that these were two of the most fun games he had seen. And we had just gotten started! By the end of the week these coaches and teachers now have an arsenal of fun games which address life skills such as developing children’s voices and confidence, but also games which educate about early pregnancy (a major issue in the Philippines due to cultural and religious influences), educating about the environment, and creating self-directed learners through problem-solving games. 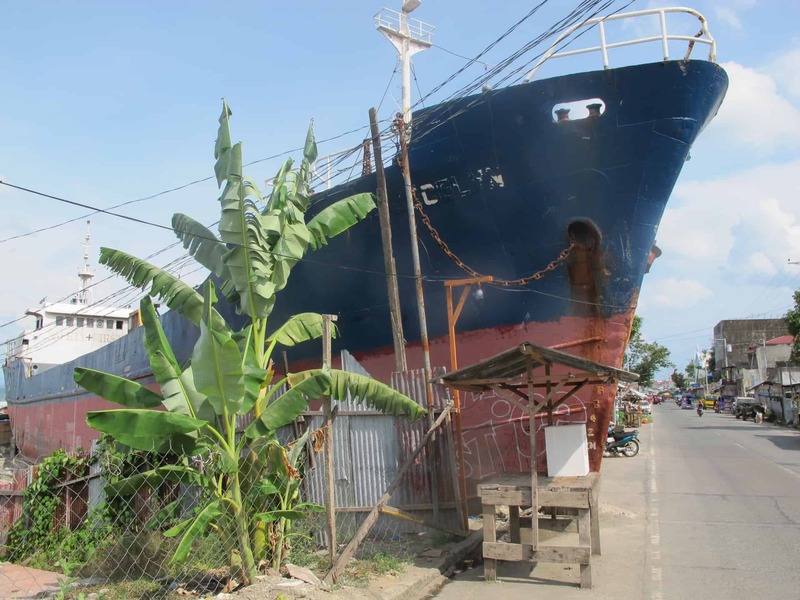 Although Yolanda only lasted one day, the effects will be felt for years. 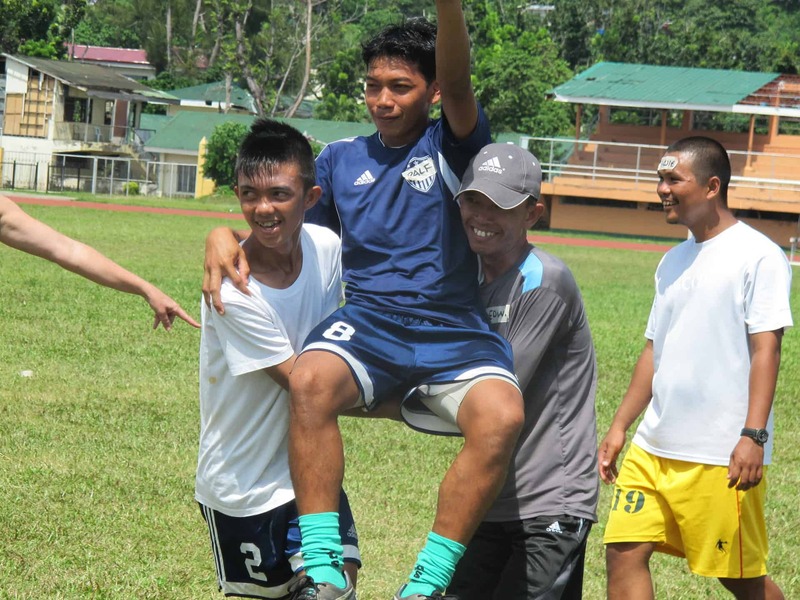 Tacloban is still at the start of their rebuilding journey, but with dedicated teachers and coaches, as well as organizations like Football 4 Life, this process will be a success. In total the coaches and teachers that we worked with will impact nearly 10,000 children around Tacloban through school and soccer activities. These children will become the lasting legacy of Yolanda. Celebrating a great week with CAC!